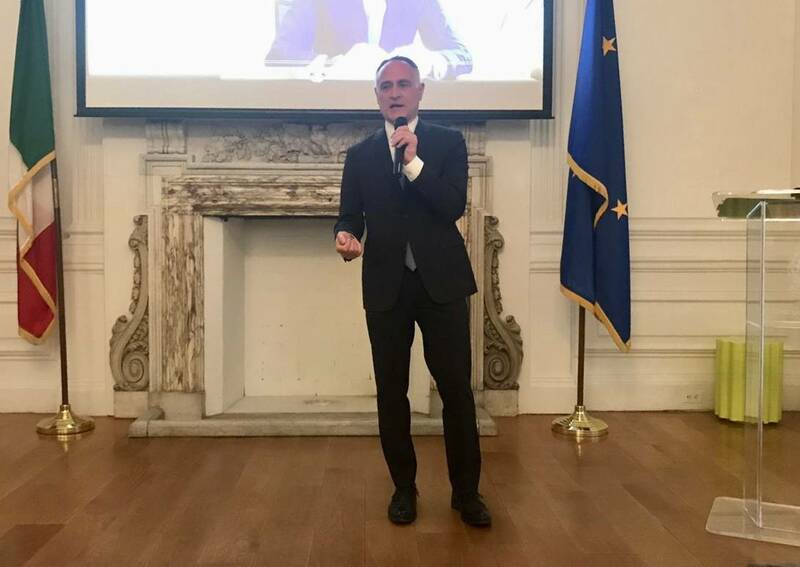 Consul General Francesco Genuardi officially announced that the “Italy Run”, an initiative first launched last year on June 2nd to celebrate the “Festa della Repubblica” in partnership with the New York Road Runners organization, will be coming back this year. 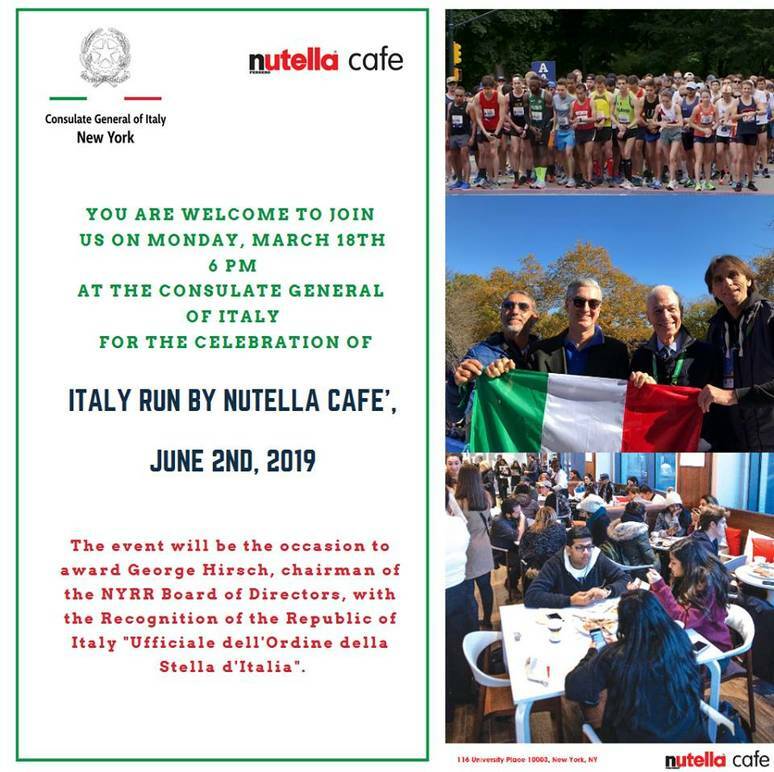 This 5 mile run through Central Park “is a way to show what Italy is today and the love of Italy for NY and, I think, the love of New York towards Italy” the Consul said. 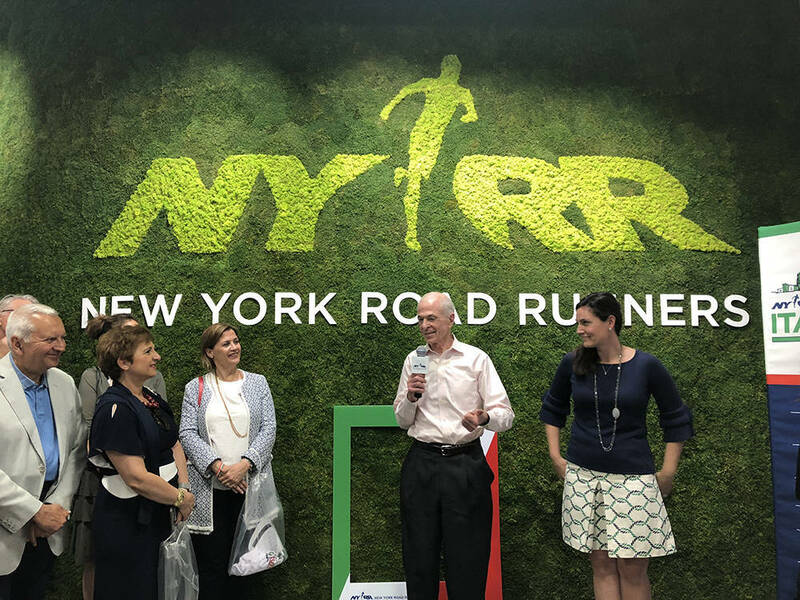 Michael Capiraso, the CEO and President of New York Road Runners, remarked on the “great involvement” witnessed last year. 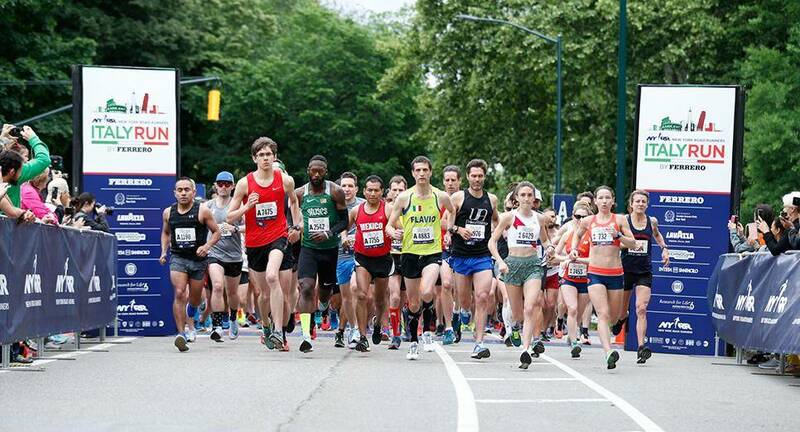 “As an Italian growing up in Jersey City and coming to NY I always dreamed of having an Italy Run” he said. 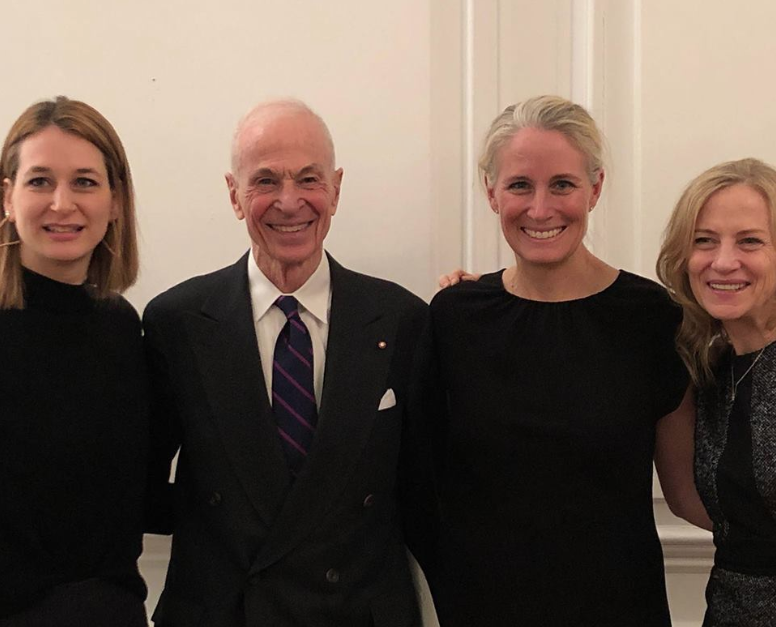 And eventually, he turned to George Hirsch, magazine publisher, runner, Italy lover, and “passionate supporter of the italian community in New York” as Consul Genuardi said, to make it happen. George contributed greatly to the promotion of Italy in the United States. 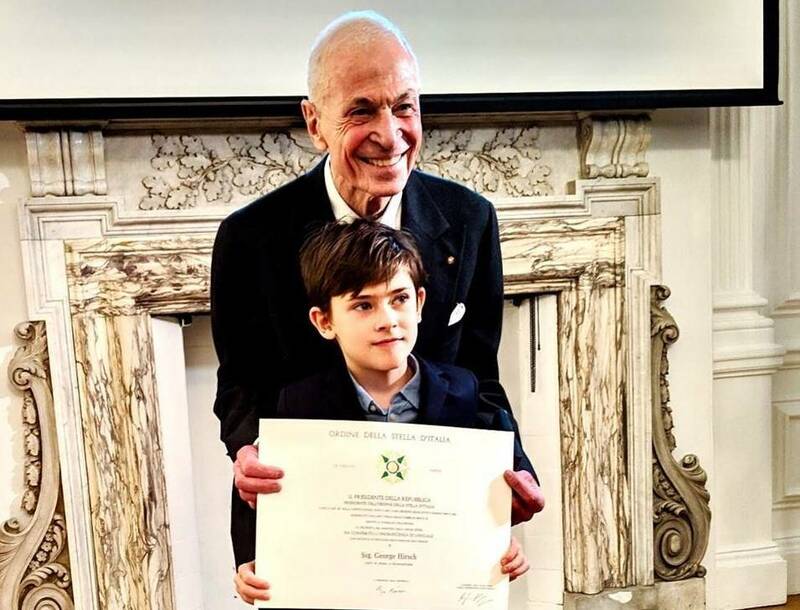 Notably, he was the chairman and publisher of the English language edition of “La Cucina Italiana”, Italy’s oldest and largest food and cooking magazine. He also recalls having participated in the founding of the Italian magazine Panorama back in the ‘60s. 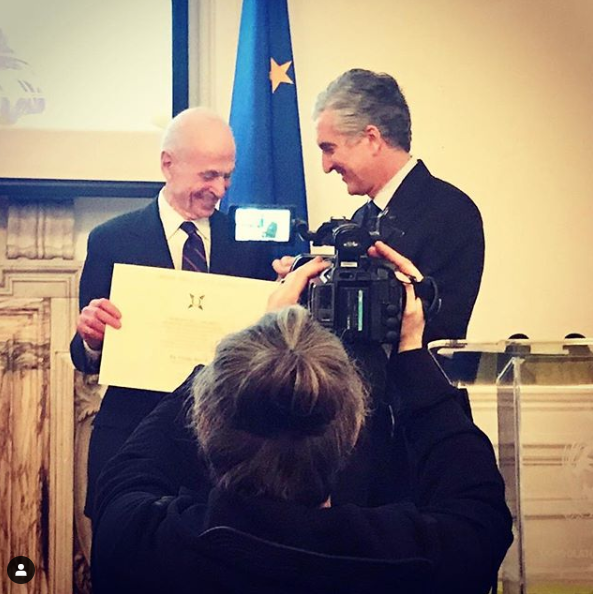 “It’s not surprising that I always feel at home in Italy” he concludes, warmly and sincerely thanking the consulate and everyone in it for his well-deserved award. There will be a festival after the race, with other Italian brands, such as Colavita, Luxottica, and Clemente Italian Bakery from New Jersey, “a new entry representing a lot of Italian Americans in NJ.” The event will also be linked to a charity organization, “The Friends of San Patrignano”, who help those suffering from drug and alcohol dependency. It will be an occasion to bring people together and show the world the healthier side of Italian life.